This is a rectangular North Star Refrigerators porcelain sign. This particular North Star Refrigerators sign is very colorful. 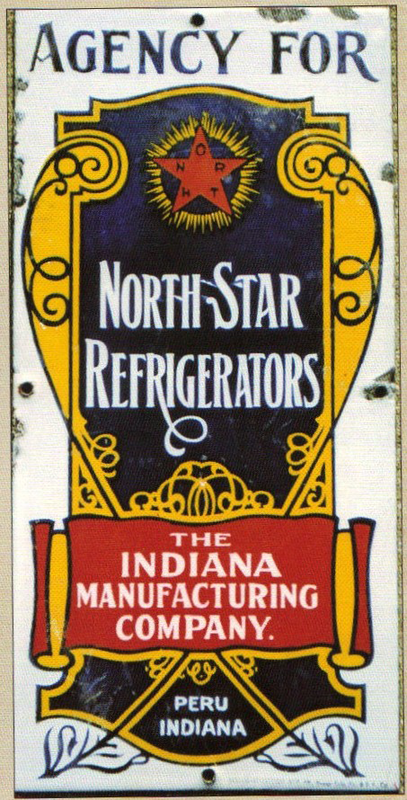 It reads, “Agency For North Star Refrigerators, The Indiana Manufacturing Company, Peru Indiana” and features a red star with yellow rays on a blue background in the center.